1914 - Outbreak of World War I. UK enters hostilities against Germany. Gruelling trench warfare in Belgium and France. 1918 - War ends in November with armistice. The number of UK war dead runs to several hundred thousand. 1921 - UK agrees to the foundation of the Irish Free State. Northern Ireland remains part of the UK. 1924 - First UK government led by the Labour party under Prime Minister Ramsay MacDonald. 1926 - General Strike arising from coal dispute. 1929 - World stock market crash. Unemployment begins to rise in UK. 1931 - Economic crisis. Millions are unemployed. National Government coalition formed. 1936 - King Edward VIII abdicates over relationship with an American divorcee, Wallis Simpson. 1938 - Prime Minister Neville Chamberlain meets the leader of Nazi Germany, Adolf Hitler, in Munich. Chamberlain says he has averted war with Germany. 1939 - Germany invades Poland. UK declares war on Germany. 1940 - Winston Churchill becomes prime minister. British fighter pilots repel German air attacks in the Battle of Britain. London and other cities badly damaged in German bombing raids. 1944 - Allied troops invade France from Britain on D-Day (6th June) and begin to fight their way towards Germany. 1945 - Germany surrenders on 8 May. Labour leader Clement Atlee is elected prime minister to replace Winston Churchill. The new Labour government introduces the welfare state. 1945 - The UK becomes a permanent member of the UN Security Council. 1947 - The former colony India wins independence. 1948 - National Health Service is established. 1949 - The UK becomes a founder member of Nato. 1953 - Coronation of Queen Elizabeth II. 1956 - UK intervenes in Suez Canal Zone, but withdraws under pressure from the US. 1961 - UK application to join European Economic Community vetoed by French President Charles de Gaulle. 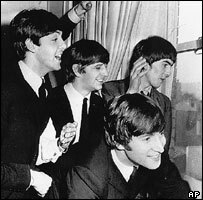 1962 - The Beatles have their first Top 20 hit in the UK with 'Love Me Do'. 1969 - British troops sent to quell unrest in Northern Ireland. 1973 - The UK joins the European Economic Community. Industry is on a three-day week because of strike by power workers and miners. 1975 - EEC membership is endorsed in a referendum. North Sea oil begins to be pumped ashore. 1979 - The Conservative politician Margaret Thatcher becomes prime minister. She begins to introduce free-market policies. 1981 - Thatcher government begins programme of privatisation of state-run industries. 1982 - Argentina invades the Falklands Islands in the South Atlantic. The UK dispatches a task force, which re-takes them. 1983 - High unemployment, unrest in UK inner cities, continuing violence in Northern Ireland. 1984 - The IRA attempts to assassinate Margaret Thatcher in her hotel in Brighton. Several killed and injured by a bomb blast, but the prime minister escapes unhurt. 1987 - Thatcher re-elected with a slightly reduced majority. 1988 - Flight Pan Am 103 explodes in mid-air over Scotland and plunges onto the town of Lockerbie. All 259 people on board as well as a further 11 on the ground are killed. 1990 - Thatcher resigns as prime minister after she fails to defeat a challenge to her leadership of the Conservative party. John Major becomes prime minister. 1991 - UK takes part in US-led military campaign to liberate Kuwait from Iraqi occupation. 1992 - John Major re-elected as prime minister. Labour party chooses John Smith as its leader. 1993 - Downing Street declaration on northern Ireland - a peace proposal issued jointly with the Irish government. 1994 - John Smith dies. Tony Blair becomes Labour leader. 1996 - Government announces that BSE, or 'mad cow disease', can be transmitted to humans. Crisis for beef industry follows, with mass slaughtering of animals, collapse of markets and export bans. Many beef farmers face financial ruin. 1997 May - Labour under Blair wins landslide election victory. 1997 August - Diana, Princess of Wales, is killed in a car crash in Paris. 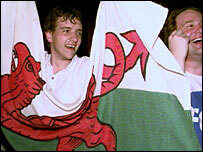 1997 September - Referendums in Scotland and Wales back the creation of separate assemblies in Edinburgh and Cardiff. 1998 - Good Friday Agreement on a political settlement for Northern Ireland is approved by voters in the Republic of Ireland and in Northern Ireland. 1999 - UK forces take part in the air war with Yugoslavia and the consequent multinational force in Kosovo. 1999 - Scottish parliament and Welsh assembly inaugurated. 2000 - UK forces intervene in Sierra Leone to protect and evacuate foreign citizens caught up in the civil war. They subsequently stay on to help train the government army. 2001 - Libyan intelligence agent Abdelbaset Ali Mohmed Al Megrahi is found guilty of the 1988 Lockerbie bombing and sentenced at a court in the Netherlands to life in prison which he will serve in Scotland. His co-accused is found not guilty. 2001 April - Blair postpones country-wide municipal elections due in May as an outbreak of foot and mouth disease amongst cattle, sheep and pigs continues to spread. 2001 June - Blair's Labour party wins a second successive general election victory. Britain withdrew most of the troops from southern Iraq in November 2009. 2001 September/November - Following September 11 attacks on targets in the US, PM Tony Blair offers strong support for US-led campaign against international terrorism. British forces take part in air strikes on targets in Afghanistan. 2003 March - UK joins US-led military campaign against Iraq after UN-based diplomatic efforts to ensure Baghdad has no weapons of mass destruction are perceived to have failed. 2003 August - Prime minister, defence secretary, government officials and aides, BBC managers and journalists testify at Hutton inquiry into death of government scientist at centre of row over claims government embellished case for Iraq war. 2004 January - Lord Hutton delivers findings from inquiry into death of government scientist. His report exonerates government, heavily criticises BBC. 2004 October - Iraq Survey Group concludes that Iraq did not possess weapons of mass destruction in run-up to US-led invasion. Tony Blair acknowledges flaws in pre-war intelligence but stands by case for war. 2005 March - Controversial anti-terrorism bill passed after marathon debate, which includes longest-ever sitting of House of Lords. Bill provides for control orders for suspects, including placing them under what is effectively house arrest. 2005 May - Labour Party's Tony Blair wins a third successive term, albeit with a much-reduced majority in parliament. 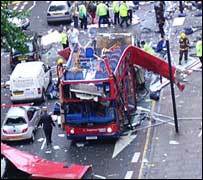 2005 7 July - 52 people are killed and around 700 are injured in four suicide bomb attacks on London's transport network. Two weeks later, would-be bombers fail to detonate four devices on London's transport network. 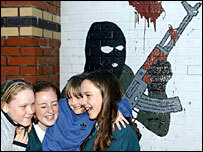 2005 28 July - Irish Republican Army (IRA) announces a formal end to its armed campaign. 2005 November - Tony Blair suffers his first House of Commons defeat as prime minister when MPs vote against increasing from 14 to 90 days the length of time terror suspects can be held without charge. Instead, they back increasing it to 28 days. 2006 August - Police say they have thwarted an alleged plot to bring down as many as 10 planes travelling from the UK to the US. 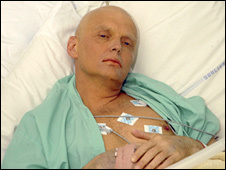 2006 November - Former Russian security service officer Aleksandr Litvinenko, an outspoken critic of the Kremlin living in exile in London, dies there after being poisoned by a radioactive substance. 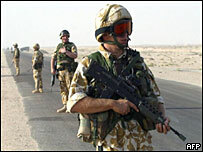 2007 February - Tony Blair announces the first large-scale withdrawal of British troops from Iraq. 2007 May - Leaders of Northern Ireland Assembly sworn in, ending five years of direct rule from London. Pro-independence Scottish National Party (SNP) becomes the largest party in the Scottish Parliament following elections. 2007 June - Gordon Brown succeeds Tony Blair as premier. 2007 July - Diplomatic row between London and Moscow over Britain's bid for the extradition of Andrei Lugovoi, an ex-KGB agent accused of Mr Litvinenko's murder. 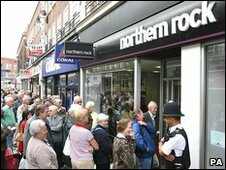 2008 February - The government nationalises the troubled mortgage lender Northern Rock. Funding problems at the bank in the second half of 2007 triggered the first run on a British bank in more than a century. 2008 May - Ruling Labour Party suffers its worst local election results in 40 years. 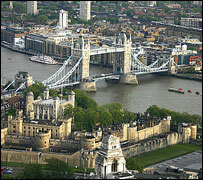 In the contest for Mayor of London it loses to the candidate of the main opposition Conservative party, Boris Johnson. 2008 July - Church of England votes by 2-1 majority to allow the ordination of women bishops. 2008 October - The government part-nationalises three leading UK banks with a 37 billion pound rescue package. It also pumps billions into the UK financial system after record stock market falls precipitated by the global "credit crunch". UK government debt that high? 2008 December - The FTSE 100 ends closes down by 31.3% since the beginning of 2008, the biggest annual fall in the 24 years since the index was started. 2009 January - The Bank of England cuts interests rates to 1.5%, the lowest level in its 315-year history. The government announces a second package of measures to help Britain's ailing banks, amid surging unemployment and deepening economic gloom. 2009 May - Furore erupts over MPs' expenses when details about what they have been claiming are leaked to a national newspaper. 2009 June - European election: Governing Labour Party slumps to its lowest share of the vote - 15.7% - since World War II, and is beaten into third place. The main opposition Conservative Party comes first with 27.7%. House of Commons Speaker Michael Martin stands down after widespread criticism for his reaction to the MPs' expenses scandal. 2009 November - Britain withdraws bulk of its remaining troops in southern Iraq, leaving only a small force tasked with training the Iraqi military. Iraq inquiry chaired by former civil servant Sir John Chilcot opens. Its stated aim is to "learn the lessons" of the Iraq conflict. The UK economy comes out of recession, after figures show it grew by 0.1% in the last quarter of 2009, following six consecutive quarters of economic contraction - the longest such period since quarterly figures were first recorded in 1955. 2010 February - A full list of repayments MPs have been asked to make following the expenses scandal is published in a report from auditor Sir Thomas Legg. 2010 May - General election: Conservative Party wins most seats but fails to gain an absolute majority. Conservative leader David Cameron becomes PM at the head of a coalition with the third-placed Liberal Democrats. 2010 October - Coalition announces large-scale public spending cuts aimed at reducing UK's budget deficit, with an average 19% four-year cut in budgets of government departments. 2010 November - UK concludes military and nuclear accord with France. Under the terms of the new treaty, the two countries will cooperate in testing nuclear warheads. 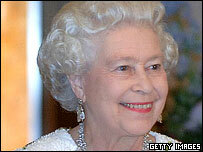 2011 March - Britain plays a prominent part in the international intervention in the conflict in Libya. 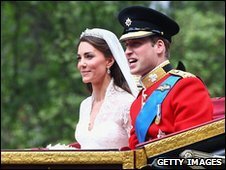 2011 April - Prince William, eldest son of the Prince of Wales and second in line to the throne, and Kate Middleton marry in a ceremony watched by millions around the world. They receive the titles of Duke and Duchess of Cambridge. 2011 May - British voters in a referendum reject plans to replace the first-past-the-post electoral system for the House of Commons with the alternative vote (AV) system. The change was a key aim for the Liberal Democrats, the junior party in the governing coalition, but strongly opposed by Prime Minister Cameron. 2011 July - One of the UK's biggest-selling newspapers, the News of the World, closes following revelations that journalists at the paper had hacked the phones of hundreds of public figures and ordinary members of the public. Prime Minister Cameron's director of communications, a former editor at the weekly tabloid, resigns and is later arrested in connection with the scandal. 2011 August - The killing of a 29-year old man by police sparks widespread riots and looting in poorer areas of London, as well as in several other English cities. Insurers estimate the cost of the damage at more than £200m. 2011 December - Prime Minister David Cameron blocks proposed changes to the EU's Lisbon Treaty aimed at addressing the crisis in the eurozone, over threats to the independence of the City of London as a financial centre. 2012 April - The UK economy shrank by 0.2% between January and April, partly because of a large fall in the construction industry. As the second consecutive quarter of negative growth, it marks Britain's return to recession.